I’ve recently heard of a brutal new kind of malware. While it is considered part of the ransomware group of viruses, Cryptolocker appears to carry a more unique payload. 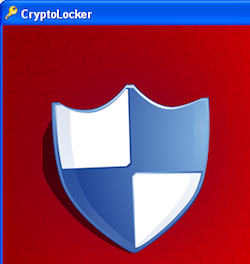 Once Cryptolocker infects a Windows PC, it encrypts a number of files on the local computer and expects payment for a decryption key. Right now, this software appears rare, and reports are out there, I hadn’t gotten my hands on a computer with it until today. What follows are some thoughts and observations.